Years ago I would have heard the word “autism” and visualised a child locked entirely in their own world. I had no idea of the varied spectrum of autism, nor of the degree to which it would affect my life. Because when you have a child with autism, it affects every aspect of life. Adam is not ‘Rain Man’ and, so far, we have not spotted any savant skills. “Just Adam” who can be happy, who can be friendly and who loves and feels deeply. Sometimes his feelings are not obviously shown but that doesn’t mean he isn’t feeling things. He is also “just Adam” who cannot cope around other people or with noise, touch, dogs, music, background noise, babies, toddlers and strangers to name just a few things. “Just Adam” who can’t take things from others no matter how much he wants them and who becomes overwhelmed with his own feelings. “Just Adam” who will become beside himself with sadness or fear, yet we don’t know why. “Just Adam” who can shout loudly that he doesn’t like people. Shouting “put that baby in a bin” doesn’t often win you friends in the supermarket! “Just Adam” who can go from silently sitting to wildly flapping and it might mean anything from desperate fear to complete excitement. There are no photos of these moments, because I have no wish to document or remember them and also because I am busy trying to help him. I recently attended a short Church Service, on my own. It is designed to be a light, cheery, family friendly service, just 30 minutes long followed by a light tea. And it is a wonderful service for families. 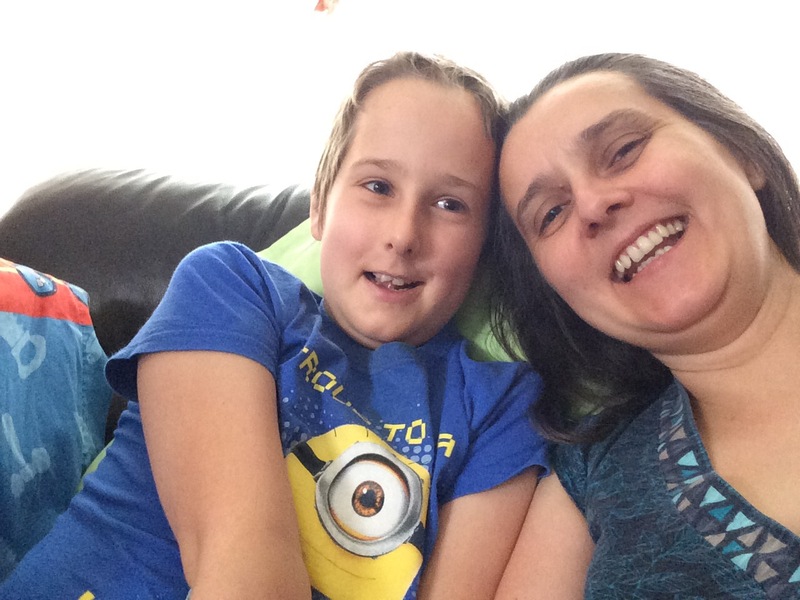 We used to take Adam there when he was smaller but, with his worries about being able to access a toilet and increasingly finding social situations quite challenging, we had to stop. I am quite certain that the two are linked – his stress has increased with his understanding that he cant “go” at most places. But within minutes of being there I was glad I had gone alone, even though I felt very alone. All things which would have made Adam uncomfortable and unhappy. There are many parts, many difficulties, but the most difficult for us is that it stops Adam from being able to enjoy the simple things. Being offered a sweet can overwhelm him, because he wants it but can’t take it and often says “no thank you” even though he wants it and then he gets upset but cannot explain it or understand it. And he doesn’t have the sweet! Making friends takes time, which means that I don’t get to make friends quickly either. We home educate and everyone is so good about giving Adam the time and space that he needs but sometimes I would love to just invite new friends over and enjoy getting to know them but it can take many months for Adam to feel comfortable enough to invite new people to his home. 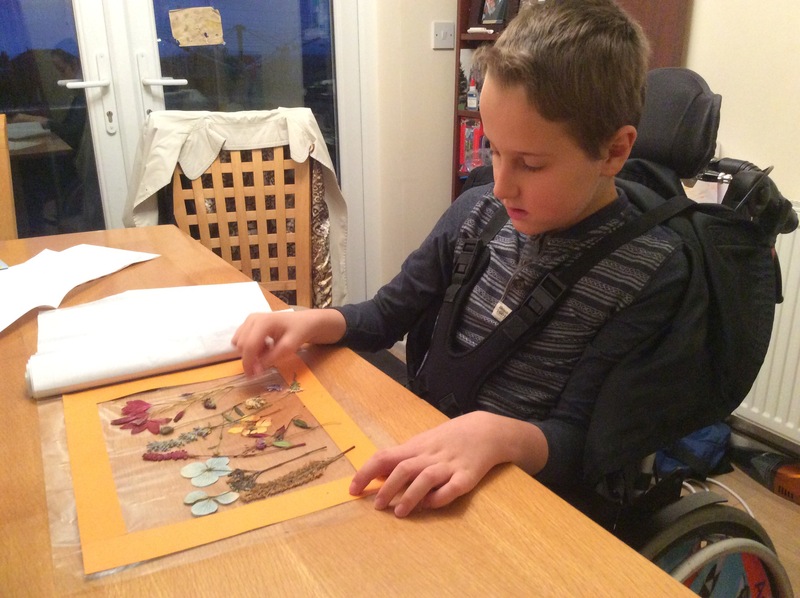 We had an appointment at home recently from professional who insisted she needed to see Adam, even though it was just to complete some paperwork about his care needs. I had said it would not be good for Adam. I had told them that it would be harmful to Adam. I had told them that he would be likely to be distressed for hours afterwards because he doesn’t like new people coming into his home. She had been here once before, but I had arranged for a friend to take Adam for a drive so that he was not in the house with her. They had arrived home before the meeting ended and he had loudly refused to come in! But “support” from professionals often leaves a parent without a choice. If you want to access help, you have to follow their rules, so I went ahead with the meeting, with Adam present. After 30 minutes of him controlling the conversation and getting distressed we agreed to give up. She left, but Adam’s distress did not. It was an hour later before he started to calm down and we lost the day really as he could not calm himself enough to focus on another activity. And my heart ached for him and for what autism takes from him. And for what it takes from the rest of our family. I would hate for anyone to read this and think I was miserable, or that our lives were sad. 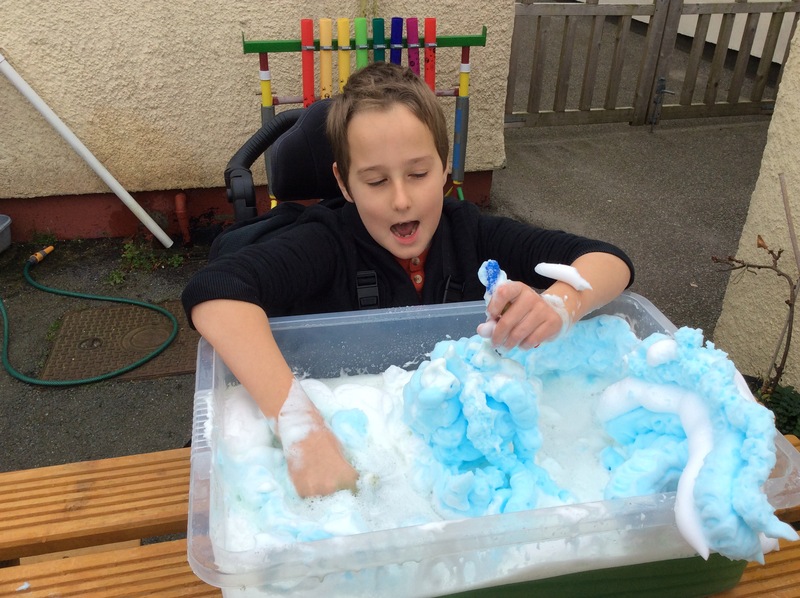 Autism does make it hard for my son to enjoy thing that he wants to enjoy, but we are finding ways to bring other joy into life whilst supporting him with the things he struggles with. Last year I had a moment of real understanding and, since then, much has changed. Recognising that autism is not “the problem” was the key. Every day is a learning experience – for me. And I am continuing to learn and understand so that I can be the parent he needs me to be. Previous: Previous post: Helping Harvey. Next: Next post: The big faker! Hi. Another autism momma here. It’s so annoying when people think they know what autism is but then we were all like that at one point I suppose. Lovely post. It’s a shame when the professionals don’t get it. My nephew has been diagnosed with mild autism, most times you’d forget about it until something triggers an extreme reaction. Most don’t even know about his diagnosis, sadly they think he’s just misbehaving. But like Adam, my nephew is just being himself too. It’s good to read about examples of how life can be for others. I love reading your posts. You manage to share from the heart. It’s refreshing. I relate to the social loneliness although I’m getting a strange comfort these days from noticing nature, looking at things closely, I’m not sure why but hope I can draw strength from this. Thanks for giving us all a little insight into what your daily life involves with Autism. What a deep post. Thanks for writing this. I had no idea how broad autism is. autism is so complex and as you said there are many spectrums. What really annoys me is people think that autistic children are stupid which is not the case at all, in the contrary some of them are more intelligent than other children. Absolutely. My son knows a lot, he just can’t always communicate it.